Flax Seeds and Weight Loss - Is there a real connection? Flax Seeds and Weight Loss – Is there a real connection? I am sure you must have come across lots of articles on the internet glorifying the benefits of flax seeds and how they help the weight loss cause. Yes, flax seeds are healthy and highly nutritious. But is there really a connection between flax seeds and weight loss? We give you the answer to this question in today’s post. Flax seeds are brown or yellow colored seeds that have become popular of late because of their nutritive content. The seeds have a shiny coating and are high in fiber. They are edible as is and have a nutty flavor. They are used to extract an oil called flaxseed oil or linseed oil. What do flax seeds contain? Flax seeds are rich in dietary fiber, proteins and essential fats. 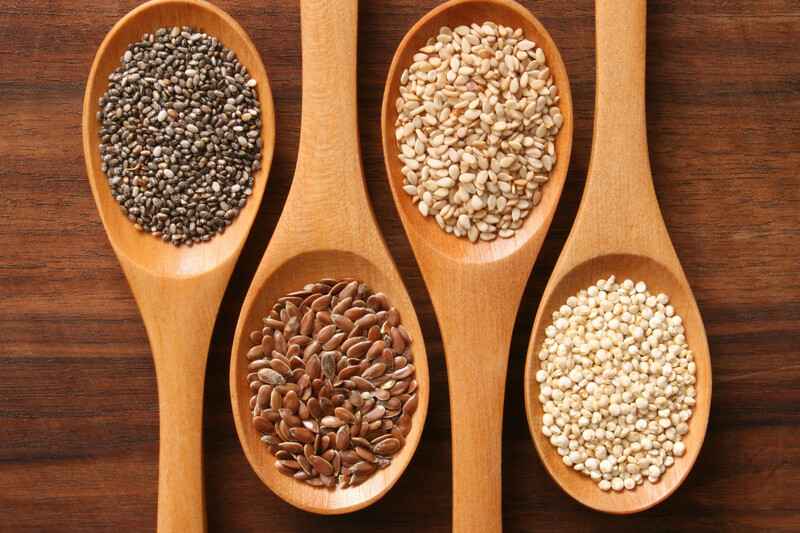 100 gms of flax seeds have 28 grams of fiber, 42 grams of fat and 18 grams of proteins. They are also rich sources of minerals like calcium, phosphorous and magnesium. Vitamins C and B complex are also present in flax seeds in trace quantities. 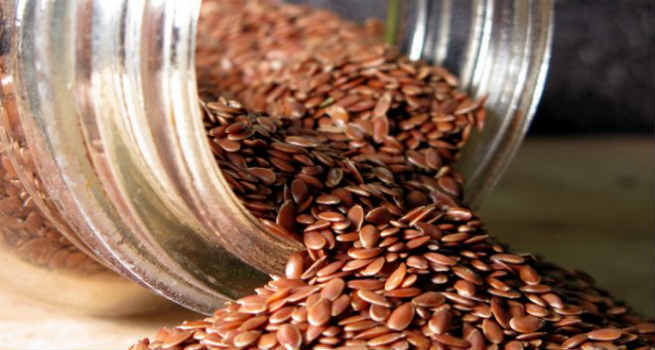 Being so nutritive, flax seeds help us improve our health in very many ways. The oil that the seeds contain is very good to maintain the health of your digestive tract. They reduce the levels of blood sugar in your body. Flax seeds are reduce any inflammation in your body and have cancer fighting antioxidants. How flax seeds can help with weight loss? The most important thing about flax seeds is that it is very high in fiber. This automatically means that when you consume flax seeds, your meal has fewer calories. Since they are rich in essential fatty acids, the seeds help in adding the good kind of fat to your body without bloating you up. The flax seeds absorb water in the digestive system and remain there for a long time. This causes you to “feel full” for a longer time and will keep you going till your next meal without feeling the need to snack. The omega-3 fatty acids in flax seeds also work towards decreasing the hunger in the body. The way to derive all the benefits from flax seeds is to replace a small portion of your meal with flax seeds. They will take care of your dietary needs and also promote the feeling of fullness. You get the good fats and can also resist snacking – a win-win for those who want to lose weight. How to consume flax seeds? Add a teaspoon of the powder to your daily morning smoothie. Sprinkle some flax seed powder on your cereal. It acts as a great egg-replacement and flour replacement in bakes like cakes and muffins. Add it to your granola bars that you can chew on when the hunger pang strikes. Add some flax seed powder to your bread and make your breakfasts more wholesome. Once you start using flax seeds and get used to the taste, you can experiment with the ways in which you can add it to your meals. Flax seeds are indeed a super food which will give you sustained energy and cut down your junk food intake. But by itself, flax seed is no magic ingredient that will melt away fat. Combine it with a good workout regime and you are well on your way to lose that extra weight.